… that Shin Ha Kyun‘s coming back to the big and small screens soon! You already know that he’s been confirmed to come back in All About My Love alongside Han Hye Jin and many others (no Im Soo Jung is a major BOOOO T__T but I can still do with HHJ). But I don’t know if many know that he’s actually filmed a movie titled The Running Man last year, the only prominent project that he’d participated in after his big hit Brain. Trailer’s released today, and I cannot be more excited! YIPPEEEEEEE jumps in joy! The trailer doesn’t say much except but is pretty much self-explanatory from its title. I only know SHK plays dad to Lee Min Ho (MoonSun/Rooftop Prince) *travesty travesty* and is forced to run all over to rescue his kidnapped son. I initially thought it’d be more of a sinister dark kind of thriller, but trailer seems to suggest otherwise, with a more whacky hilarious tone to it. Not complaining, though I’d like some solid stuff other than the funny hijinks added to the plot. 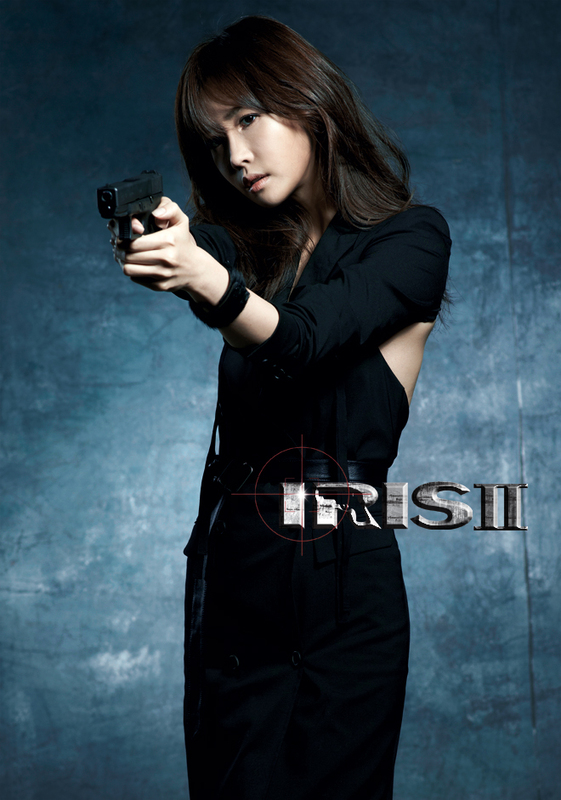 … that Lee Da Hae‘s slowly turning into a kickass heroine for IRIS2. First, check out her prettiness in INSTYLE. I’m so happy she’s in colors because she’s such a fan of black and darker stuff it makes her gloomy and sad. She’s already so skinny black really doesn’t help. More bright colors like these please! I’m still a bit iffy about her stunts, they still look a tad forced to me. But this girl’s pretty much famed for her pristine and feminine features, and is so skinny that a gust of wind might even break her. I just want to credit her for trying on something that she’d never imagine she’d do, much less us who really had qualms about her taking on action before this. I think she genuinely wants to prove that she can take on different roles (albeit some might be too far-reaching for her) and shed off pre-conceived notions and mindsets that people might have of her as an actress. Even if she doesn’t make it, I’d give her a A+ for effort. I wasn’t very intrigued by the idea of IRIS2 in the beginning, but now, for some reason, my curiosity is piqued. With Jang Hyuk, Lee Bum Soo, Oh Yeon Soo, Kim Yeon Cheol and many others in this, I just cannot pass for the star cast alone. I am not counting or banking on the plot or story at all (the previous 2 sucked), but Hyuk and LBS, aahhhhhhhh, I just cannot! …that Hyun Woo and Eom Ki Joon are going to be in a drama together! EKJ as leading man for once, and Hyun Woo playing the antagonist?! YUMSLURPS! Virus or whatever, you have me on board! March please come faster! My Pavarotti – with Han Suk Kyu and Kang Sora, about a Lee Je Hoon’s gangster character who loves to sing and tries to make something out of his passion for it. Typical as it may sound, it is based on a true story. YAY! Shin Ha Kyun! Daebak!